Doris Pitkin Buck – The Future is Female! 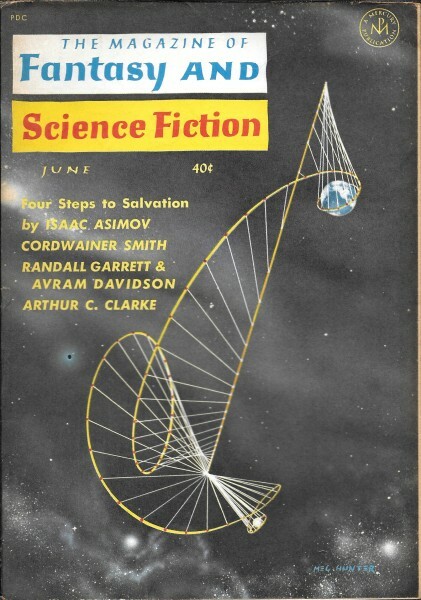 Doris Pitkin Buck (January 3, 1898–December 4, 1980) started her career as a writer of speculative fiction relatively late in life, publishing her first story—“Aunt Agatha,” in the October 1952 Magazine of Fantasy and Science Fiction—at fifty-four. She was born in New York City, where her father Lucius Pitkin owned a chemical and metallurgical consulting laboratory. Though he hoped someday to rename his firm “Pitkin and Daughter” and hand it down, she studied literature instead, graduating from Bryn Mawr in 1920 and teaching at the Brearley School in Manhattan while completing her master’s degree in English at Columbia in 1925. 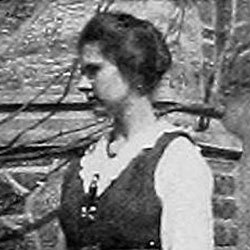 Marrying architect Richard S. Buck Jr. in 1926, she moved with her husband to Columbus, Ohio, where both taught at Ohio State; in 1932 she had a son. The family relocated to the suburbs of Washington, D.C., in the 1940s, where she joined the Little Theatre of Alexandria and wrote a radio play, “Wish Upon a Star” (1944). Buck contributed dozens of stories and poems to genre magazines over the course of the next four decades. While she was most closely associated with the literary experiments of The Magazine of Fantasy and Science Fiction, Buck was proud of her status as a scientist’s daughter who did careful research for her art. As she told The Washington Post in 1963, “real science fiction is based on science.” Her short story “The Little Blue Weeds of Spring” made the first ballot for the 1967 Nebula Awards, and her story “Cacophony in Pink and Ochre” is one of the stories slated to appear in Harlan Ellison’s still-unpublished Last Dangerous Visions anthology. Buck actively contributed to the development of the modern science fiction community in other ways as well. She helped found the Science Fiction Writers of America (now the Science Fiction and Fantasy Writers of America) and was a regular participant in and attending the Milford Writers Conference, an annual science fiction event organized by Damon Knight and Kate Wilhelm. She also wrote articles on traveling and gardening and, with her husband, on landscaping and remodeling. She died at eighty-two in a Hyattsville, Maryland, nursing home. A final science fiction poem, “Travel Tip,” appeared posthumously in the June 1981 issue of The Magazine of Fantasy and Science Fiction.